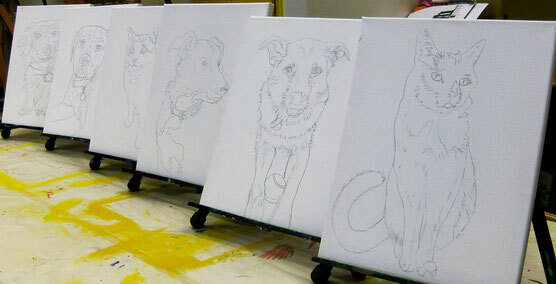 Paint a portrait of your favorite furry friend on a stretched canvas in one 3-hour painting session! Artistic talent and/or painting experience are not required! then we'll guide you through the painting, step-by-step! Check back soon for our next scheduled Paint Your Pet workshop. Sign up for the next Paint Your Pet above (if one has been scheduled) or at the Blackfoot Art Center studio at 73 N. Broadway. At that time you will select a canvas size for your painting (normally 11" x 14"). 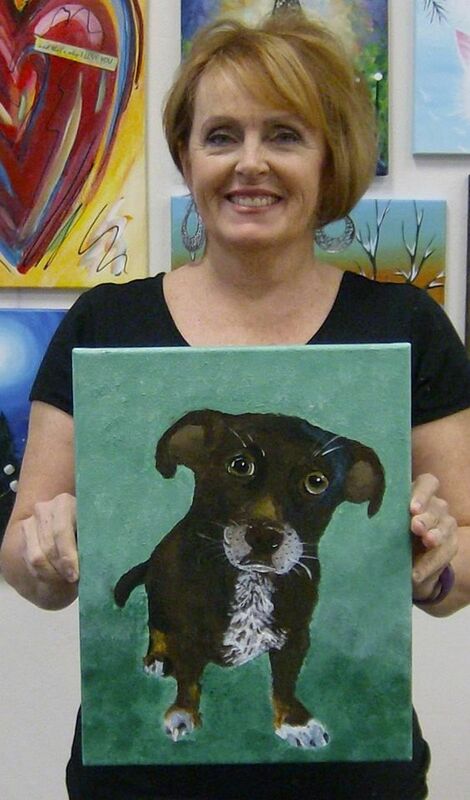 NOTE: If we do not have an upcoming Paint Your Pet Workshop - contact us and book your own! Take (or choose) a good picture of your pet. We recommend clear, high-resolution headshots/close-ups for best results. Get down to your pet's eye level - for example: don't photograph your dog as you stand over him. Instead, get down on the floor and snap several photos of him at eye level. If he looks at the camera, great! But if he looks off to one side, that can work well for a painting too. The photo should show your pet’s personality, possibly including a toy or a ball - or just those big puppy eyes! 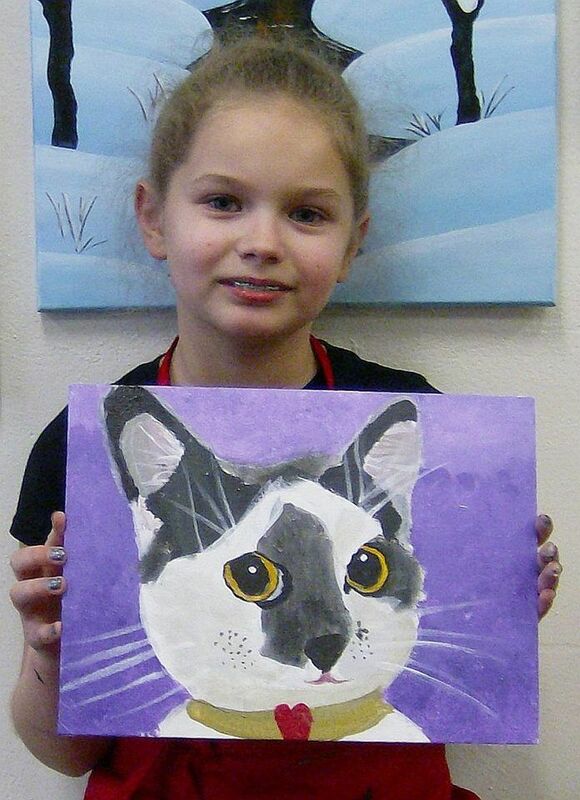 Email your pet picture(s) to us at blackfootartcenter@gmail.com. Feel free to send more than one photo and we will select the best one to transfer to the canvas for you. Label with YOUR name, NOT your pet's name, and number each photo with #1 being your favorite. Photos must be received at least 3 days prior to the workshop (see due date on reservation form above.) NOTE: If you have sent pet photos in the past, add your pet's name as well so we can name each of your pet files. We will enlarge and transfer your furry best friend to your stretched canvas. Come to your pet painting workshop and paint that cute furry baby with us! 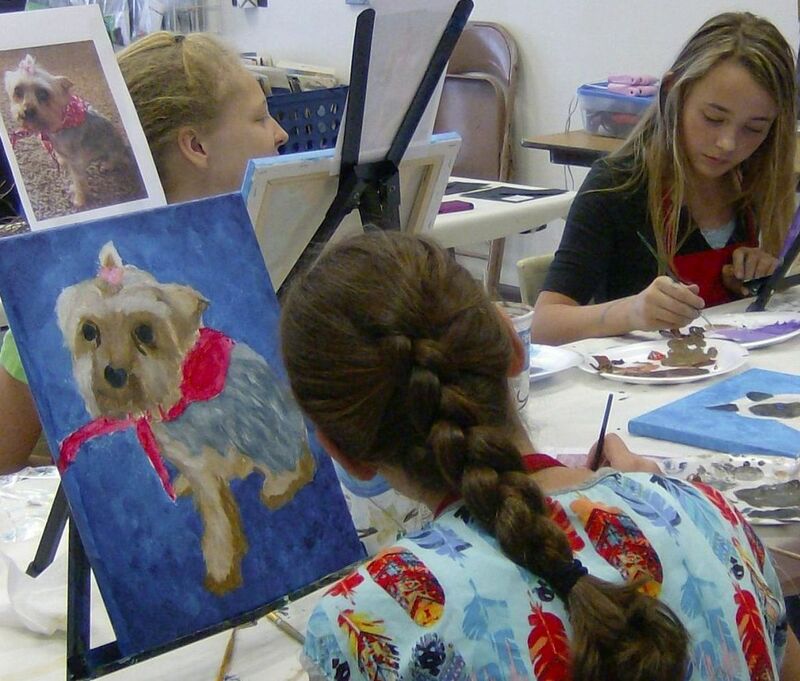 Doors open at 12:45 pm; please come on time so you will be ready to paint at 1:00 pm! IMPORTANT! Only ONE pet per portrait. Why? There is a time constraint & limited space on your canvas. 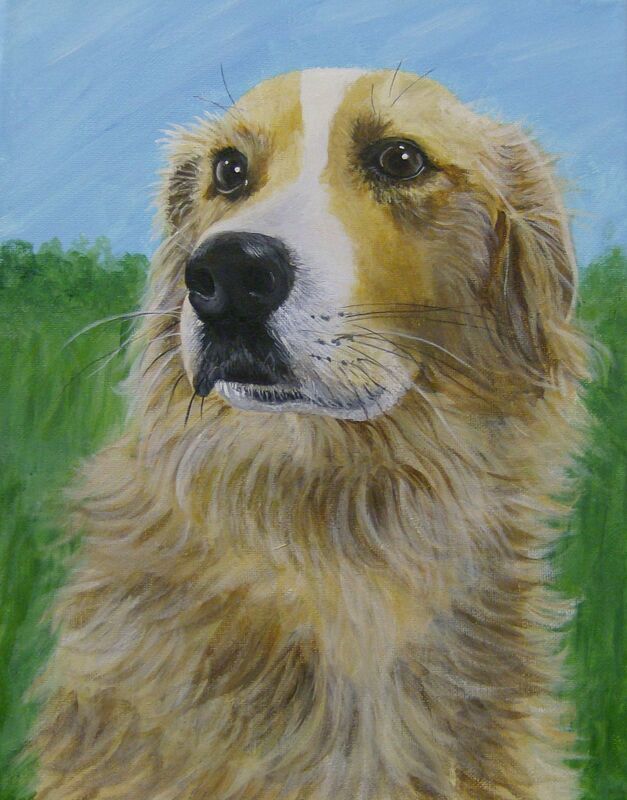 When multiple pets are attempted in one portrait sitting, the quality of each pet's image is deteriorated and can cause you to feel frustrated, rushed or disappointed. Instead, come back next month and paint another pet portrait! 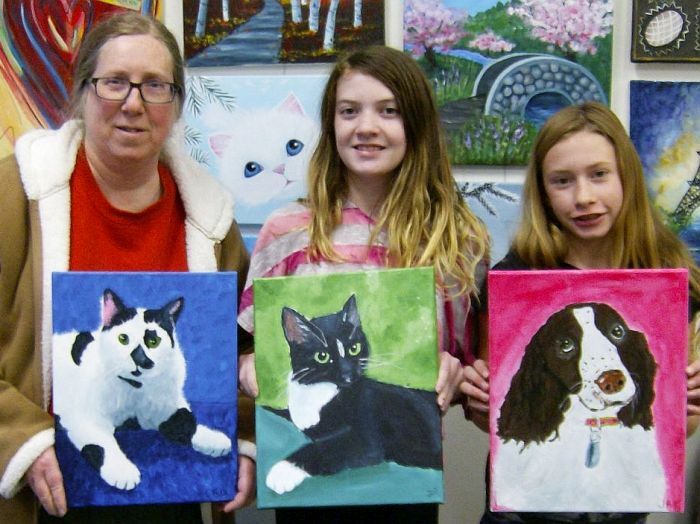 Or, book your own private pet painting party and bring your friends! Please leave your furry friend at home! As much as we love them, this is a people-only event!